Turns out today’s Snapchat update had more going for it than the new Lens Store. 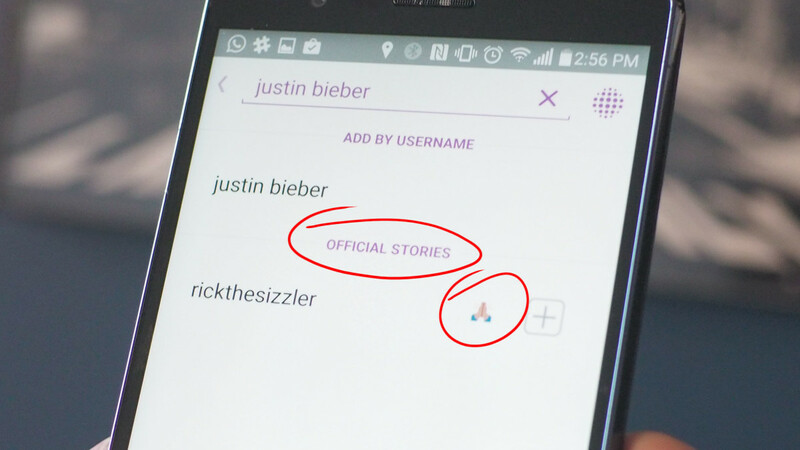 The Verge spotted new ‘official stories,’ which are basically the Snapchat equivalent to verified accounts. Now if you look up a celebrity, you’ll see their username listed as an official story, along with an emoji (seemingly of their own choosing) to denote the verified status. One Direction has an arrow pointing upwards, which is like a singular direction, I guess. The changelog for today’s update doesn’t mention anything other than the Lens Store, but the verification doesn’t show up unless you upgrade to the latest version of the app, so it wasn’t simply a server-side switch. It’s also useful for weeding out fake accounts or people with the same name from the person you’re looking for, which is why Twitter has been using them for several years. It’s been a long time coming for Snapchat, but it’s a welcome addition.